For millions of Americans, prescriptions drugs play an important role in their health care. They save lives, prevent or delay the onset of chronic illnesses, control or cure diseases, and relieve pain or other conditions that are debilitating in everyday lives. With greater access to more of these drugs, we, as Americans, can find a prescription drug for just about anything that ails us. So, it comes as no surprise that so many people are suffering from a prescription drug addiction and even those who take them, legitimately and as intended, are not immune. 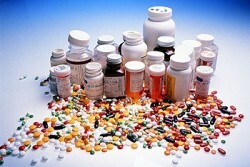 Why Do We Need to Know the Warning Signs of Prescription Drug Addiction? The early signs of prescription drug abuse can be subtle. Warning signs of prescription drug addiction can start out subtly and evolve into daily tortures that literally consume the life of the user as well as cause consequential harm to their families, friends, and society, in general. Among the millions of prescriptions provided annually, the diversions, and the abuse, is the fact that people are dying in record numbers from overdoses, healthy lives are deteriorating, families are being separated and destroyed, and people are losing their jobs, homes, freedom, and hope in ever living any sort of a normal and satisfying life. According to the National Institute on Drug Abuse, “Nearly all drugs of abuse increase dopamine neurotransmission.” Dopamine is a natural chemical that is increased in our brains whenever we experience pleasure and also acts to reinforce those behaviors as part of what keep us well. Therefore, the most commonly abused and most addictive prescriptions drugs are those that make a person feel some pleasurable sense including opioid pain relievers, benzodiazepines, amphetamines, and other CNS depressants and stimulants. Obsessing over next dose or worrying about running out. Using the drugs after conditions for which they were originally prescribed is no longer evident. Using drugs recreationally or for other purposes other than intended. Preoccupation with using and compulsive use despite negative consequences. Continued use despite the development of physical or psychological health problems. Exhibiting irrational, unwanted, or immoral behaviors in order to use or because of use. Continued use to avoid withdrawal symptoms. Repeated attempts to quit unsuccessfully. Regularly use the drugs more frequently or in higher amounts than prescribed. Fraudulently obtain the drugs through theft, forgeries, or lies. Continued use despite consequential losses, hardships, or harm to others.